Check-in queues are for chumps. 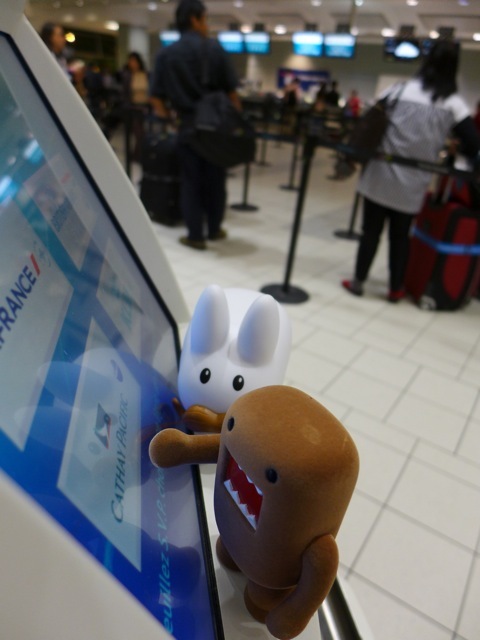 Domo knows how to travel and quickly make his way through an airport. It's also easy when you don't have much baggage. Carry on is the way to go! Pipkin and Domo's first destination is a pit-stop in Hong Kong where they'll transfer to another flight to get to Taipei, Taiwan. 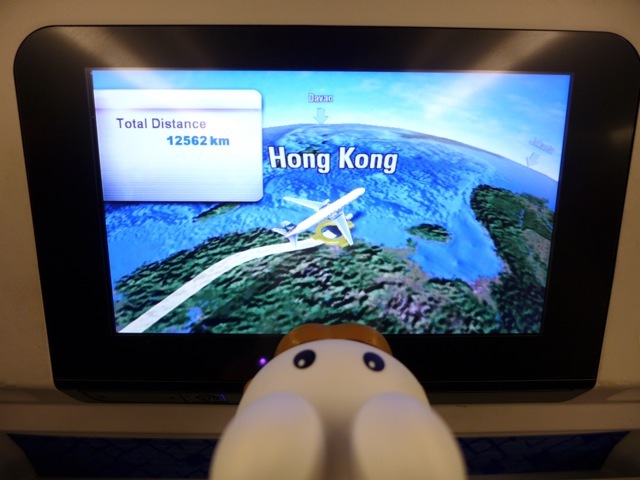 Pipkin didn't know they'd be flying so far to the north to get to Hong Kong. 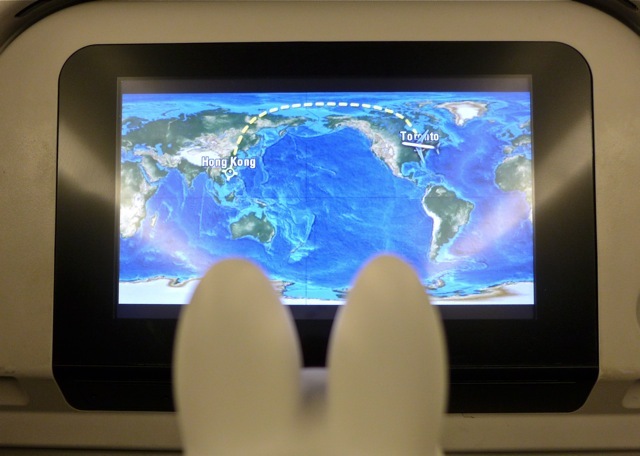 It's gonna be a loooooong flight! 12562 km long. Might as well get some shut eye and grab some grub when they land. Night night all!